For two months now I have been doing some sort of fitness challenge. August was crunches and September was push-ups. Push-ups didn't go as well as crunches, but I still did them! Mostly. 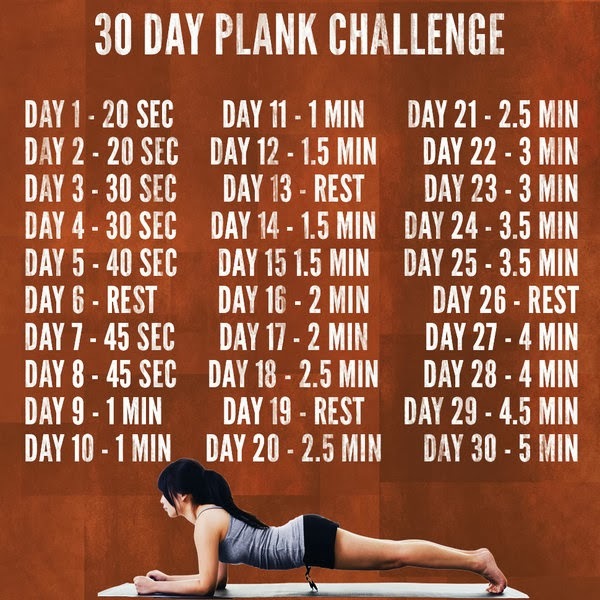 For October I will be attempting planks! Or planking. Or however you want to say it. I couldn't track down the original source of this image. If someone claims it, they can let me know. 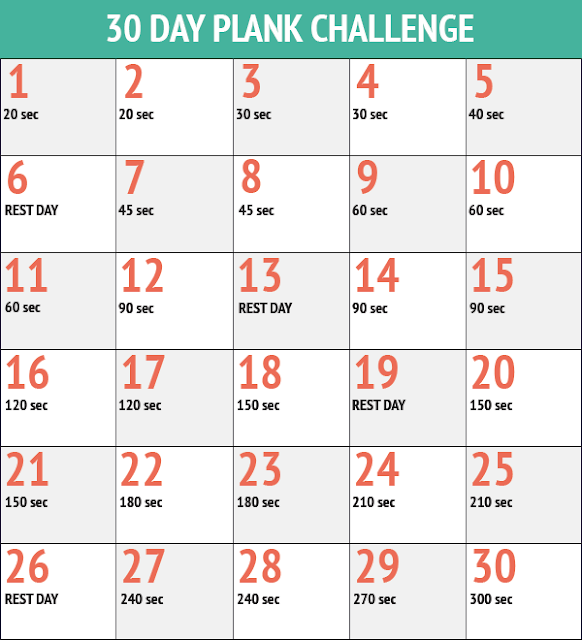 Whenever I post about this challenge, I'll use the hashtag #30dayplank. It's October 1st! Join me?